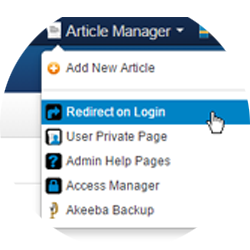 Custom administrator menu at the Joomla backend. Add menu-items to the left, right, above or below, of the Joomla admin menu or replace the Joomla menu. Fully responsive menu on Joomla 3. This suckerfish dropdown menu is 8 levels deep. 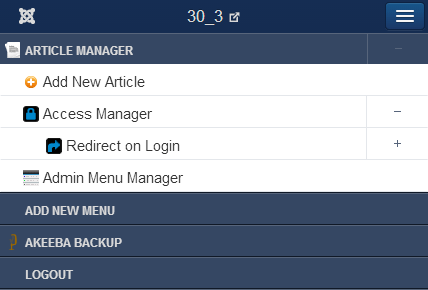 You can copy menu-items from the Joomla menu or make you own custom menu-buttons (also with custom icons). Access can be set for Joomla groups/levels per menu-item. So you can create one menu and display only the menu items each administrator needs to see. Access on menu items is optional. Text and line separators can be added to the menus.